Your home is your safe haven; it is where you spend most of your time, and where you raise your family. Of course you do not want any household hazards in your safe space. It must be as safe and secure as possible, and for your family’s sake and yours, you want to make sure it stays that way. Taking the time to keep your home safe is essential for any homeowner. So make sure to always give your home a routine checkup to keep it in perfect condition for years to come. And if you find any of those hazards, it’s always better to call a professional maintenance company. Here are some of the most common household hazards, and how to detect and avoid them. Injuries due to falls are one of the most common household hazards. And they can be really dangerous for small kids and older people. 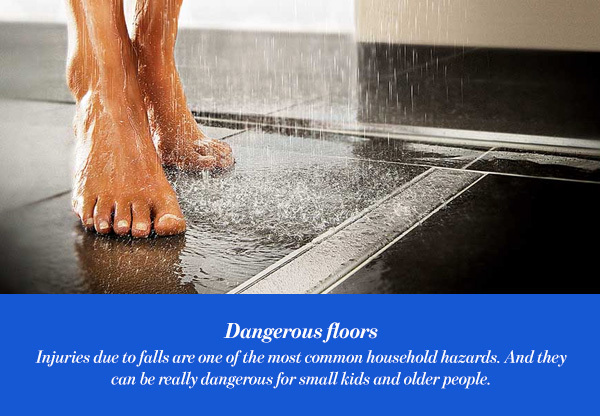 Several things can cause dangerous falls, number one being slippery bathroom floors, be careful when choosing flooring options. When designing your bathroom try to choose tiles that will not be too slippery when wet. But also try to keep floors dry all the time. In addition to that, if you happen to have stairs in your house you should secure them as much as possible. Make sure all staircases have solid handrails, adequate lighting, and also safety gates if you have small children. Of course we do not need to highlight the dangers of fire, everyone knows how dangerous it can be. However, there are some safety measures that you can take to prevent fire. 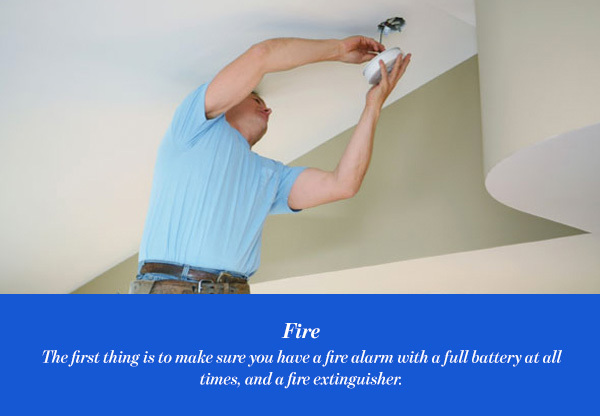 The first thing is to make sure you have a fire alarm with a full battery at all times, and a fire extinguisher. And never ever leave any fire unattended, weather it is a candle or a stove. Plus, it is always best to unplug any household appliances or electronic devices after using them. 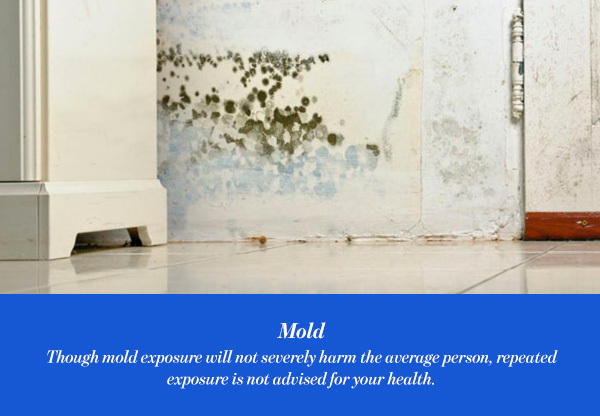 Molds usually form when moisture concentrates in an area. You know you have mold growing in your home if you smell an unfamiliar earthy scent. Though mold exposure will not severely harm the average person, repeated exposure is not advised for your health. In addition to that, it ruins the surfaces in the house, sometimes the damage is irreversible. The good news is, you can prevent mold by keeping your home as dry as you can. For example, running the exhaust fan in the bathroom and the kitchen, and fixing any plumbing problems as soon as they arise. 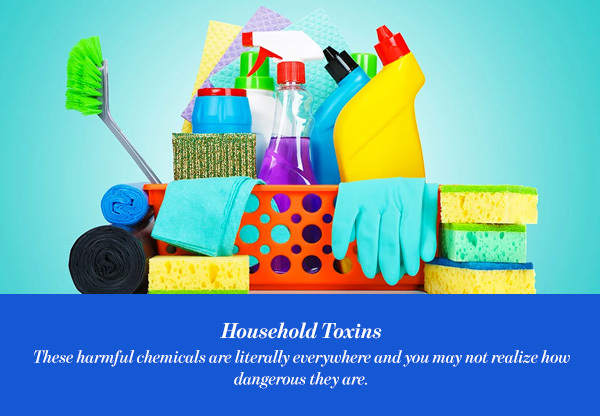 There are many toxic compounds that may be hiding in your home without you even knowing. These harmful chemicals are literally everywhere and you may not realize how dangerous they are. If your house was built before 1980, there is a probability that asbestos was used in the construction. Research and check out popular asbestos products online, like insulation and floor tiles, then check if you have any of them in your house. If you do find asbestos in your house, find a professional to safely remove it. If your home was built before 1978, use a home lead test to test the paint in your home. If you do find evidence of lead paint hire a professional to come and remove it. Many scientists are starting to believe that some of the chemicals found in a wide variety of the items you use every day may be more toxic than previously thought, they were recently added to the list of possible household hazards. Pressed wood products are made of bits and pieces of wood leftovers glued together. Pressed wood products are various and popular for home construction. However, the glue used to combine the wood particles together is a very dangerous substance, having it around in your house is not healthy for your family. 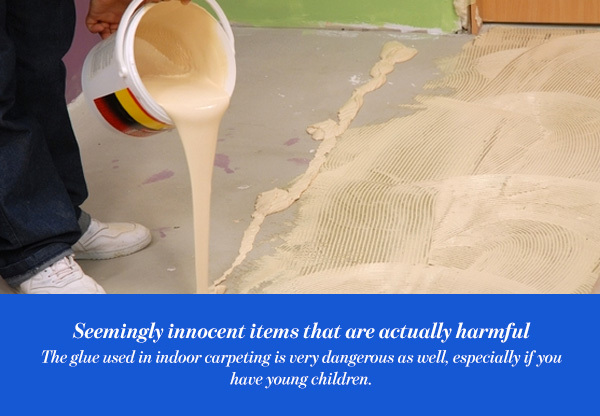 The glue used in indoor carpeting is very dangerous as well, especially if you have young children. Also some mattresses are high in a chemical product called PBDE, there are a lot of health issues associated with exposure to that chemical. Some other toxins are also used in making mattresses, for fire-proofing. So try to find a safe mattress, ask the manufacturers or even check online before you buy. A bed should not just be comfortable, it should also be safe for your family and your children to sleep peacefully in. Tips & Advice A culinary oasis: How to design an outdoor kitchen?